Your air conditioner breaking down is probably one of the worst things that can happen to you especially during the summer months. During this time, it is highly understandable for you to have the urge of calling your trusty repair service provider immediately. But do you know that checking your unit first can actually benefit you more than instantly turning to someone for help? There are times when air conditioners break down from problems that only require some very simple do-it-yourself solutions. What if you really need a professional to fix your unit then? Checking out your air conditioner and determining what the cause of problem is can do you good. Not only will it lessen the time of repairing, you will also help the repairman bring the necessary tools and parts to solve the problem stat. Here, we will enumerate some very simple tips for your air conditioner repair. 1. Do you feel like the thermostat of your unit is not functioning properly? Check the setting and compare it to your room’s temperature. If the setting is indeed lower than your room’s temperature, it means the cooling system is not operating well. Check the air handler then, also known as the indoor AC unit. Here, you can know if your fan isn’t functioning or if the dilemma is with the circuit breakers on the heat pump or handler. 2. If the fan is the only thing that is not functioning, then there is a high chance that a malfunction occurred in the handler’s control board or the blower monitor. If the heat pump’s fan is the one not operating properly, go on and check if there is any ice buildup on the pair of copper refrigerant pipes that you can see on the outside enclosure. If this is the case, simply turn off the heat pump for a couple of hours to let the ice melt. This is actually one of the simplest kinds of AC repairs. However, if the pipes freeze again, then it is time to really call for an AC repair company. 3. Being low on coolant fluid is another common cause of a malfunctioning air conditioner. However, professional HVAC repairmen are the only ones allowed to replenish this fluid. If you are sure this is the problem, then it’s time to ask for an authorized air conditioner service repair company. 4. Check if the thermostat is really set on the ‘COOL’ function. Your air conditioner should also be plugged on a 240-volt circuit. Check if there are any tripped breakers or blown fuses on main and secondary circuit panels. 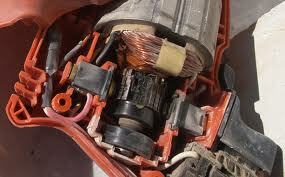 If you see some of them broken, reset the breaker and simple replace the busted fuses. If, for some reason, the circuit blows again, then that’s when you call for your repair contractor. Being familiar with these simple tips for the repair of your air conditioner is a must for every unit owner. Besides from hastening the process of your unit being fixed, you can save money by preventing yourself making unnecessary HVAC service calls as well. Portable acs are much easier to repair yourself, especially if you buy a good portable air conditioner to begin with. You generally won’t need to call any repair specialists if you know how to use basic tools and can buy your own parts.